Thanks to the lake Arco benefits summer weather conditions from a Mediterranean climate. In August temperature can reach 30°/33° degrees during the day. 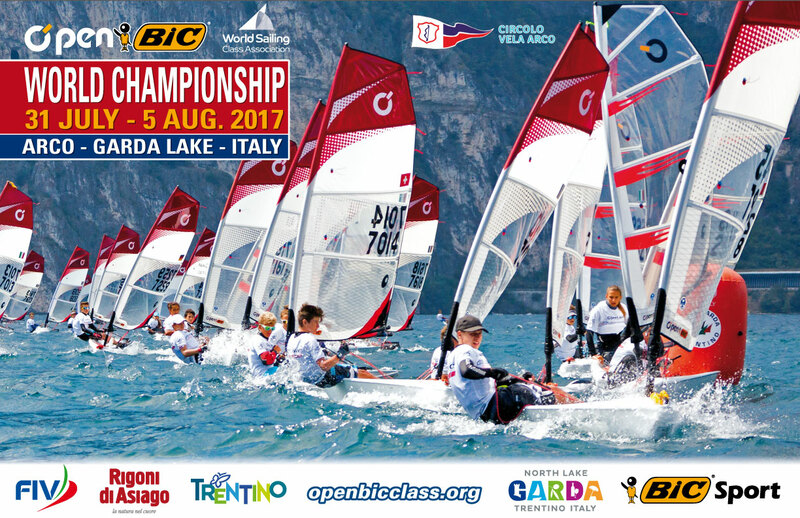 Wind / Racing: Northern Lake Garda is well known for being a “sailing” Mecca, largely due to the thermally generated “Ora” wind that kicks in from the south usually around 12-1pm, and builds regularly up to a F4 and occasionally up to a F6-F7. This places an emphasis on strong boat handling as well as speed in these conditions. Conventional theory is that “there’s more breeze nearer the cliffs” but that only holds true some of the time and also depends on the racing area you use. Occasionally you get thunderstorms rolling around the mountains and the clouds and drop in temperature can prevent the “Ora” from kicking in and if the light northerly or “Peler” is in place racing does sometimes take place in the ‘wrong direction’, which emphasises a range of different skill sets. Circolo Vela Arco is situated between Riva Del Garda and Torbole sul Garda, which is in the Northern part of Lake Garda in Northern Italy. The town of Arco is particularly attractive and has a wide range of shops, bars and interesting restaurants. For non-sailing friends there’s a lot to do on holiday including mountain biking, windsurfing, hill climbing, canyoning, beach activities (pebbly), canoeing etc. The majority of which are all available within a short drive to the town centre. One of the features of this end of the lake (in Trentino) is that no motorboats are allowed (other than ferries or rescue boats) which helps to keep the noise levels down and the dreaded jet-skiers out of the picture. So if you have friends or relatives interested in “sharing” your holiday – bring them along.